The CDC recommends routine voluntary HIV testing of all patients 13-64 years of age. Despite this recommendation, HIV testing rates are low even among those at identifiable risk, and many patients do not return to receive their results. To examine the costs and benefits of strategies to improve HIV testing and receipt of results. Cost-effectiveness analysis based on a Markov model. Acceptance of testing, return rates, and related costs were derived from a randomized trial of 251 patients; long-term costs and health outcomes were derived from the literature. Primary-care patients with unknown HIV status. Comparison of three intervention models for HIV counseling and testing: Model A = traditional HIV counseling and testing; Model B = nurse-initiated routine screening with traditional HIV testing and counseling; Model C = nurse-initiated routine screening with rapid HIV testing and streamlined counseling. Life-years, quality-adjusted life-years (QALYs), costs and incremental cost-effectiveness. Without consideration of the benefit from reduced HIV transmission, Model A resulted in per-patient lifetime discounted costs of $48,650 and benefits of 16.271 QALYs. Model B increased lifetime costs by $53 and benefits by 0.0013 QALYs (corresponding to 0.48 quality-adjusted life days). Model C cost $66 more than Model A with an increase of 0.0018 QALYs (0.66 quality-adjusted life days) and an incremental cost-effectiveness of $36,390/QALY. When we included the benefit from reduced HIV transmission, Model C cost $10,660/QALY relative to Model A. The cost-effectiveness of Model C was robust in sensitivity analyses. In a primary-care population, nurse-initiated routine screening with rapid HIV testing and streamlined counseling increased rates of testing and receipt of test results and was cost-effective compared with traditional HIV testing strategies. The online version of this article (doi: 10.1007/s11606-010-1265-5) contains supplementary material, which is available to authorized users. We estimated the health and economic effects of strategies to increase HIV testing rates and receipt of results using a decision model. We followed the recommendations of the Panel on Cost-Effectiveness in Health and Medicine for performing and reporting a cost-effectiveness analysis.18 We used the perspective of a perfect insurer,19 which uses costs to the insurer and patient, and corresponds to what most studies term a societal perspective. Both costs and benefits were discounted at a 3% annual rate,20 and patients were followed for their lifetime. Schematic representation of decision model. The square node at the left represents the initial decision to initiate HIV testing through a physician-based or nurse-based strategy, and then whether traditional or streamlined counseling is performed. Patients in each strategy can then accept or refuse HIV screening. Once screened for HIV, patients could receive their test results or not. All patients regardless of their testing status then enter the Markov model (gray box). In all strategies, patients who do not receive screening through their initial interaction with the physician or nurse may be screened at a later date through symptom-based case finding. We assumed that the frequency with which case finding occurred was 80% annually below a CD4 count of 50 cells per cubic millimeter, linearly related to the CD4 count between 50 and 350 cells per cubic millimeter, and not relevant (0%) with a CD4 count of more than 350 cells per cubic millimeter, when patients were assumed to be asymptomatic. Model A = traditional HIV counseling and testing; Model B = nurse-initiated screening with traditional HIV testing and counseling; Model C = nurse-initiated screening with rapid HIV testing and streamlined counseling. Our cohort was modeled to reflect the patients in the RCT.17 The trial included 251 patients from two Department of Veterans Affairs (VA) sites in Southern California. The clinics were both primary-care clinics with urgent-care components. One was a large, university-affiliated hospital, and the other was an urban outpatient clinic serving many indigent and homeless veterans. In the Model B strategy, the nurse recommended that the patient get screened for HIV and, if the patient agreed, they were then referred for traditional counseling/testing. Model C involved the nurse recommending HIV screening to the patient. If the patient agreed to testing, then the patient was screened using an oral swab and the OraQuick® rapid screening test (OraSure Technologies, Inc, Bethlehem PA). Sensitivity of rapid HIV testing was based on OraQuick data and assumed to be 99.6%. The pre-test counseling was performed using a streamlined procedure1 that took approximately 7 min. Post-test counseling and follow-up of positive rapid HIV tests were performed in all strategies by a trained HIV counselor. The trial indicated that traditional HIV counseling and testing (Model A) resulted in lower rates of testing (41%) and receipt of results given testing (35.3%) than did the nurse-initiated strategies (Models B and C), as shown in Table 1. The most successful strategy was Model C, nurse-initiated routine screening with streamlined counseling and rapid HIV testing, in which approximately 90% of patients were tested and 90% of those tested received results (Table 1). We performed one-way and multi-way sensitivity analyses to account for important model assumptions and uncertainties. For variables derived from the randomized trial, ranges represent the 95% confidence intervals reported in the trial. For HIV natural history and clinical variables, our ranges for sensitivity analyses represent our judgment of the variation likely to be encountered in clinical practice on the basis of both the literature and discussion with experts. We varied costs in sensitivity analyses based on the standard deviation observed in the time-costing analysis, expert clinical judgment or assuming costs increased/decreased by 25%. A probabilistic sensitivity analysis was also performed, and its assumptions and findings are described in the Appendix available online. We estimated the increase in life expectancy and quality-adjusted life expectancy that resulted from identification and treatment of HIV through the nurse-initiated screening (Models B and C) compared with traditional HIV counseling and testing. For an HIV-infected patient (49.7 years), Model B increased life expectancy by 0.64 years or 0.47 QALYs compared with Model A. If the nurse-initiated strategy included rapid testing and streamlined counseling (Model C), life expectancy was increased by 0.87 years or 0.63 QALYs compared to Model A (Fig. 2). Effect of nurse-initiated screening strategies on life expectancy of HIV-infected patients. The effect on (a) undiscounted life expectancy and (b) undiscounted quality-adjusted life expectancy of using nurse-initiated testing for HIV infection, as compared with traditional counseling and testing (Model A). The solid line demonstrates the benefit to HIV-infected patients from incorporating streamlined counseling and rapid testing into the nurse-initiated strategy (Model C), while the dashed line represents nurse-initiated testing with traditional counseling (Model B). Model A resulted in the lowest costs and effectiveness (Table 2 and Fig. 3). Model B was more effective and costly, and Model C was the most effective and most costly (Table 2). Note that lifetime costs in Table 2 include all direct medical costs for screening, counseling and treatment, as well as age-specific medical costs unrelated to HIV care, and that our estimated HIV prevalence of 0.398% was based on the trial results. Although Model B is more effective than Model A, Model C has a more favorable cost-effectiveness ratio than does Model B; thus Model B is eliminated by extended dominance (Table 2). Extended dominance occurs when a more expensive strategy has a lower cost-effectiveness ratio than a competing (dominated) strategy; in this case, the more expensive alternative would always be preferable, since the outcome gain more than compensates for the cost. The additional gains in health benefit from Model C cost $36,390/QALY, without consideration of the benefit from reduced transmission. Including these benefits resulted in a more favorable cost-effectiveness ratio of $10,660/QALY (Table 2, Fig. 3). Health and economic outcomes of testing and counseling strategies. (a) Benefits to partners excluded; (b) benefits to partners included. If the prevalence of unidentified HIV was lowered from 0.398% to 0.05%, the cost-effectiveness of Model C compared with Model A was less favorable at $58,900/QALY (Fig. 4) without the benefits from reduced transmission; the cost-effectiveness was $25,300/QALY with the benefit from reduced transmission included. Including the benefits to partners, Model C cost less than $75,000/QALY as long as the prevalence of unidentified HIV was greater than 0.01%. Sensitivity analysis of the effect of unidentified HIV prevalence on the incremental cost-effectiveness of the nurse-initiated rapid testing and streamlined counseling strategy (Model C) compared with traditional counseling and testing (Model A). The solid line includes the costs and benefits to partners, while the dashed line excludes these effects. The benefits of Model C to patients are two-fold (i.e., the probability of a patient receiving an HIV test is increased, and given that HIV testing occurs, patients were more likely to receive these results). In sensitivity analyses we explored the effect of these two elements. If 89.3% of patients received their test results through rapid-testing and streamlined counseling (base-case estimates), then even if the HIV test acceptance rate was reduced to 40%, the cost-effectiveness ratio of Model C increased from the base case estimate of $10,660/QALY only to $13,240/QALY. Sensitivity analyses with other model variables (Table 1) did not change our results substantially. If the specificity of rapid testing was reduced to 96.1% and all positive tests were confirmed by an EIA, Western blot and viral load tests, Model C remained cost-effective at $17,400/QALY. Our main finding is that nurse-initiated routine screening with streamlined counseling and rapid HIV testing is cost-effective relative to traditional HIV counseling and testing. The increased effectiveness and the resulting cost-effectiveness occur because this strategy resulted in much higher rates of receipt of test results. This strategy, at $36,390/QALY gained, met conventional thresholds for cost-effectiveness relative to Model A. When we considered the benefit to sexual partners from reduced transmission, rapid testing with streamlined counseling was even more favorable and cost $10,660/QALY gained. Although the CDC now recommends routine HIV screening in all health-care settings, implementation of screening remains a challenge, and few health-care systems have integrated screening into routine care. We believe that three elements of Model C contributed to the success of this strategy. First, the use of non-physician providers, in our case, nurses, substantially increased the rate of testing. 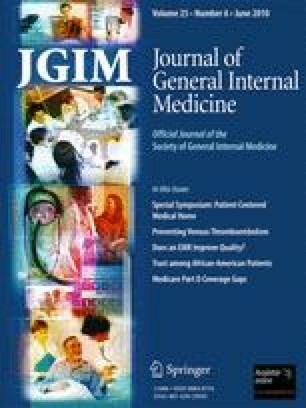 This finding is consistent with a substantial body of literature that supports the use of non-physician providers for preventive care.31, 32, 33, 34, 35, 36 For example, a systematic review of 81 studies found that the most potent type of intervention to increase preventive services was organizational change, including designation of non-physician staff to perform specific prevention activities.36 Use of non-physician providers has the additional potential advantage of reducing per-person test costs by substitution of less expensive personnel. In our trial, aggregate costs were higher for the strategies that used nurse-initiated screening (Models B and C), but the increase in costs was related to the higher rates of testing, which offset the reduction in time and personnel costs. The second important component of this strategy was streamlined counseling. With traditional testing and counseling, counseling costs are substantial, and for patients with negative tests are approximately 15 times higher than the cost of the HIV test itself.12 In the randomized trial, traditional pre-test counseling required 20 min on average. In contrast, streamlined pre-test counseling took 7 min, which resulted in a reduction in counseling costs of 65%. In the trial, there were no differences in HIV knowledge or in sexual risk behavior between the traditional or streamlined counseling groups.17 This result is consistent with that of the RESPECT-2 randomized trial of over 1,600 patients that compared rapid HIV testing and counseling in one visit to standard testing and counseling over two visits.37 However, the counseling for rapid testing in RESPECT-2 required 30 min and was likely both more costly and more intensive than our streamlined counseling. In addition, in post-hoc subgroup analyses in RESPECT-2, one time counseling appeared modestly less effective in men, suggesting that further evaluation of streamlined counseling is needed. Although the convenience of rapid testing is an important advantage, continued evaluation of the accuracy of rapid testing is necessary. In our trial, we had only one positive result, which was a true positive; thus, the false-positive rate was 0. However, a trial of testing in emergency department with rigorous quality control found a false-positive rate of approximately 3.1%.46 Patients should be counseled that positive rapid tests require confirmation. Our trial was performed at two VA primary-care clinics in southern California, which raises the question of whether the results will be applicable in other settings. Although the rates of acceptance and receipt of result are likely to vary across settings, we believe the three components of our most effective strategy (initiation of testing by non-physician providers, use of streamlined counseling and rapid testing) are likely to be useful in other settings. Rapid testing has been evaluated in many environments, and use of non-physician providers has been studied in many prevention domains, as noted previously. The use of streamlined counseling addresses an important challenge to providers who have many competing demands on their time. Our study has several limitations. As noted, our trial was performed in VA primary and urgent care settings, which have different patient populations than many primary or urgent care practices. In our trial, about 17% of patients approached for participation agreed to enter the study. Because this was a research study, informed consent was required, and the requirements for follow-up may have discouraged some patients from participating. Thus, the implications for implementation of screening outside a trial are not known. The cost-effectiveness of screening however would not be affected by the participation rate since a change in participation would increase/decrease costs and benefits proportionally. In addition, the VA populations we studied do not reflect the distributions or the risk groups in some other populations or settings. Because our results may not be generalizable to non-VA setting, further study in other settings would be helpful. In addition, longer term assessment of effectiveness of streamlined counseling would be useful; our follow-up did not extend beyond 4 weeks. Finally, our cost-effectiveness analysis assumed that identified patients would have access to HIV care, which is true in the VA, but may not hold in some settings. The benefit from screening would be less than we estimated if patients did not have full access to care. We believe our study is relevant to primary care settings. Although the need for informed consent in our study precludes completely reproducing routine opt-out screening in a medical setting, we did offer testing routinely to all patients, which is in essence the CDC recommendation. We note, however, that there are potential barriers to implementation of nurse-based screening with rapid testing (Model C), which include lack of nursing time, prioritization of other tasks over HIV testing, lack of familiarity with rapid test procedures among nursing staff and the logistics of lengthening clinic encounters because patients must wait for test results. The importance of these barriers is likely to vary by clinical setting. The current CDC guidelines recommend routine screening in health settings, a substantial change in policy from targeted risk-based screening. How best to implement routine screening is uncertain. We found that nurse-initiated screening with streamlined counseling and rapid testing (Model C) was an effective strategy to increase testing and receipt of results, and is cost-effective by conventionally accepted thresholds when compared with traditional counseling/testing. Our study suggests that this strategy has substantial promise as an approach for integrating routine HIV screening into the practice of primary care. This project was supported by the Department of Veterans Affairs Health Services Research and Development Service and the National Institute on Drug Abuse (R01 DA15612-01). Dr. Bayoumi was supported by a career scientist award from the Ontario HIV Treatment Network. The authors gratefully acknowledge the support of the Ontario Ministry of Health and Long-Term Care. The views expressed in this article are those of the author(s) and do not necessarily represent the views of the United States Department of Veterans Affairs or of the Ontario Ministry of Health and Long-Term Care. The funders had no role in the design or implementation of the study or in the decision to seek publication. HIV rapid tests for the randomized trial were donated by Orasure Technologies. Dr. Anaya owns stock in a biotechnology company that develops biotechnological products, one of which is a rapid test for diagnosing the HIV virus. Drs. Anaya and Asch have also received an unrestricted grant to support dissemination of research results from two HIV rapid testing device manufacturers. All remaining authors do not have any industry support or potential conflicts of interest. This study was approved by the Institutional Review Board at each participating institution.